Home India Should Narendra Modi become India’s Prime Minister again? Should Narendra Modi become India’s Prime Minister again? Will Narendra Modi become India’s Prime Minister again? Should Narendra Modi become India’s Prime Minister again? Only one word is different in these two questions. 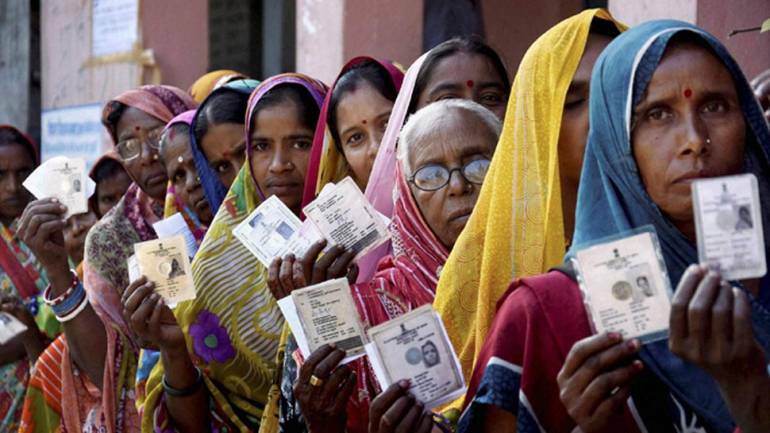 But it makes all the difference to the debate on the ongoing elections to the 17th Lok Sabha. The answer to the first question lies in the collective decision of voters in 29 states and seven union territories. Whatever be the verdict of the electorate, it will have to be accepted by all political parties unless monumental frauds come to light. The verdict will be known on May 23. Therefore, I am not going to discuss the first question. Let us leave it to surveys and psephologists, keeping well in mind that even they too have wildly differing guesstimates, some of which are of the ‘sponsored’ kind. But every Indian should cast her or his vote after giving a serious thought to the second question − Should Narendra Modi become India’s PM again? When all the pertinent facts and factors are considered, the answer will be a resounding ‘NO’! One important and self-evident fact is that Modi is not seeking a mandate for himself or the BJP, for the first time. The people of India had given him a decisive win five years ago, based on their own assessment of his promises and the overall situation prevailing in the country then. Therefore, it is the duty of every voter, especially those who had voted for the BJP, to assess Modi once again, not on the basis of his future promises but on the yardstick of his performance since 2014. An unbiased report card of the Modi government’s performance will incontrovertibly conclude that its failures and betrayals far outnumber his achievements and positive initiatives. I am not one who claims that Modi’s tenure as PM is altogether bereft of successes and laudable measures. To make such a claim, besides sounding propagandistic, would be an insult to India’s democracy. Since 1947, every government in India has, to a greater or lesser degree, benefited from, and built upon, the good work of its predecessor. Nevertheless, what is undeniable is that Modi and his government have failed to fulfill most of their promises in 2014. Their performance comes nowhere near the very high expectations Modi himself had raised through his high-decibel campaign before the 2014 elections. On two crucial issues that concern a majority of voters – creation of adequate jobs for the youth and alleviation of distress of farmers – his government’s under performance is stark. Why should they vote for him again? Unused to serious thinking over policies from the viewpoint of their long-term consequences, and uninterested in the rigours of patient and persistent steps of implementation, Modi mistook grandstanding for governance. Two examples suffice. His most audacious decision was Demonetisation of high-value currency notes in November 2016. It put every section of society to unimaginable hardships. The worst sufferers were the poor and middle classes, who keep their meagre savings only in currency form. Modi’s misadventure caused the deaths of over 100 people. Nearly two and a half years later, can the PM tell nation how Demonetisation benefited the people or the national economy? Has his tall claim about an attack on black money, which he used to justify his decision, come true? The reality is quite the contrary. There is more cash in the economy now than before. Modi had claimed that Demonetisation would “destroy” terrorism, drug mafia, human trafficking and the underworld. Haven’t subsequent events busted his claim? Hence, people all over the country are asking the question: What exactly did Demonetisation achieve? They are also puzzled by the fact that neither Modi nor his party men are uttering a single word about it in their election campaign. Many of them are lending a receptive ear to Rahul Gandhi when he says, “Demonetisation is the biggest scam in independent India.” If people smell something fishy and scandalous about the most important economic decision in Modi’s first term, why should they vote for him again? Introduction of GST was another decision that Modi used for his showmanship. A man of limitless vanity, he wanted to be seen in the same exalted league as Jawaharlal Nehru. So he launched GST at a special midnight session of Parliament on July 1, 2017. Sadly, whereas there was something sublime about Nehruji’s historic ‘Tryst with Destiny’ speech to the Constituent Assembly on the midnight of August 14-15, 1947, Modi’s move was banal. 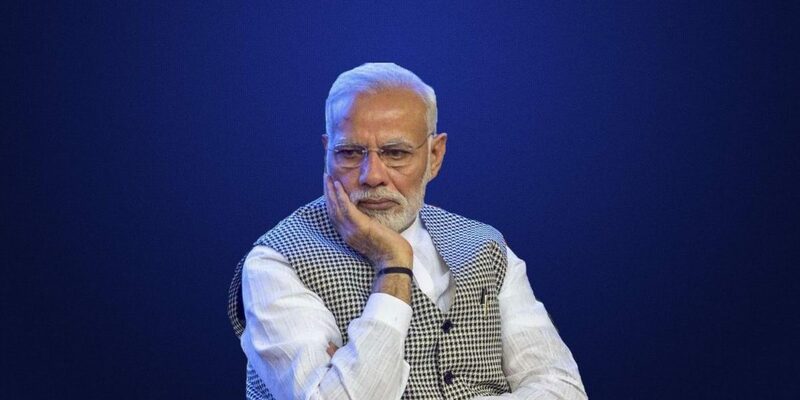 As subsequent angry reactions from almost all sections of trade and industry showed, Modi’s GST was highly ill-conceived and had to be repeatedly reformed. If Demonetisation and flawed GST have achieved anything, it is a huge shrinkage of jobs in the economy. 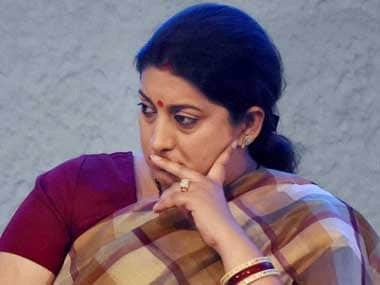 Disappointed that their hopes have been dashed, almost all sections of the common people are asking the PM, “Where are the ‘achche din’ that you had promised to bring?” This being the case, why should those who have paid a heavy price on account of Modi’s missteps reward him with a second term? Modi must go for three other important reasons. One, never has India seen such brazen attempts to misuse and devalue democratic institutions as in the past five years. Large sections of the media have been muzzled, and made lapdogs of Modi, his government and his party. Selective and coercive action against BJP’s opponents has become the order of the day. If Modi gets a renewed term, there is a real danger of him attempting to wreck the constitutional order. Even in the ongoing poll campaign, we have seen how the PM is trying desperately to gain electoral benefit from the actions of our Armed Forces. If his attempts go unchecked, what will happen to the neutrality of our men in uniform? Two, never in the past has a ruling party tried so blatantly to disempower Indian Muslims, and make them live in fear by inflicting indignities on them, as Modi and his supporters have done since 2014. The PM and other BJP leaders have condoned mob lynchings of innocent Muslims with their silence. At the subterranean level, workers of the Sangh Parivar have been subtly trying to convert the anti-Pakistan sentiment in our society into an anti-Muslim sentiment. All this is being done in a well-calculated manner to create a Hindu vote bank large enough to ensure a second term to Modi. Lastly, never since India’s Independence has a ruling party tried to divide our society between “patriots” and “anti-nationals” as Modi and his followers have done. Ludicrously, our arrogant and ignorant PM has been trying to portray the Congress as pro-Pakistan and pro-terrorists. He seems to believe that the people of India have forgotten the martyrdom of Indira Gandhi and Rajiv Gandhi, both of whom became victims of anti-India terrorists. The situation has become so toxic that even BJP’s own patriarch, LK Advani, felt it necessary to indirectly rebuke Modi by saying that political opponents should not be maligned as “enemies” and “anti-nationals”. In view of all this, India’s jagrut voters should know that a second term to Modi would pave the way for further assaults not only on the ‘Idea of India’, but also on the ‘Idea of Indian Democracy’. Before darkness descends, it is time right now for the electorate to say: Modi must go!